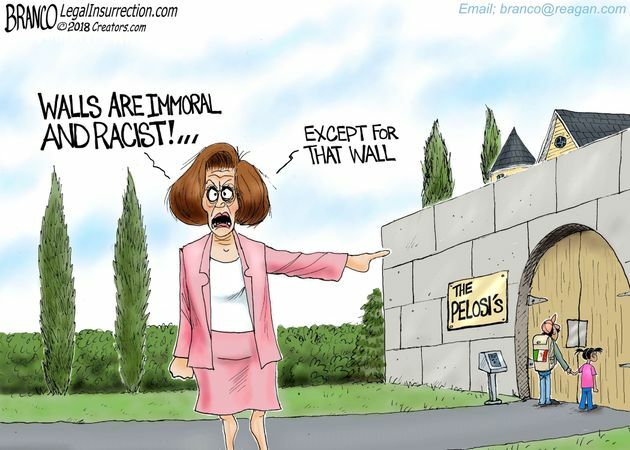 Love might be lovelier the second time around, while Nancy Pelosi intends to finish off the U.S. Constitution in her second try before they plant her in a marble orchard. Every two years, we gather in this chamber for a sacred ritual. Under the dome of this temple of our democracy, the Capitol of the United States, we renew our great American experiment. When our new members take the oath, our Congress will be refreshed, and our democracy will be strengthened by the optimism, idealism and patriotism of this transformative freshman class. AMERICANS ARE TRYING TO HOLD ON TO THEIR REPUBLIC. Pelosi is trying to replace the Republic with democracy —— a form of government the Founders despised. In other words neither the Founding Fathers, nor their Constitution, defined the U.S. as a democracy. We must be champions of the middle class, and all those who aspire to it – because the middle class is the backbone of democracy. Only if you accept Nutso’s interpretation of middle class. It has been so since the birth of democracy itself. In a speech entitled “From Swords to Plowshares, delivered in the House of Representatives on June 4, 1992, Pelosi cheered the arrival of Gorbachev to the Presidio as a tenant. “The National Park Service is actively seeking ideas for programs and tenants at this spectacular site. Last month, former Soviet President Mikhail Gorbachev visited the Presidio to propose that the Gorbachev Foundation/use be located at the Presidio when the army leaves. In his words, “it is wonderful and symbolic that a military base is being converted for use by the people’. As far as I know, Gorby and Green Peace are still operating out of the Presidio thanks to Pelosi. Mikhail Gorbachev is a dedicated Communist who tried his best to save Socialism/Communism and the Soviet Union, yet media mouths always portray him as a freedom-lovin’ Nobel Prize winner who ended the Cold War when it was Ronald Reagan and Margaret Thatcher who ended the war without firing a shot. And have you ever seen an article or heard a blurb on television about Gorbachev that did not mention his 1990 Nobel Peace Prize? “Gorby,” as he is affectionately called by his American admirers, founded Green Cross International; an environmental outfit. If that does not tell you where all the good little Communists went nothing ever will. His only regret for having been a Communist dictator is not having had the machinery to tax the Russian people deeper into slavery as Pelosi and fellow Democrats are doing to Americans. Communism would still be running an intact Soviet Union if Gorbachev had his druthers. We must fight for the middle class in a way that is fair and fiscally sound – protecting Medicare, Medicaid and Social Security. The filthy lying old douche bag knew damn well that RR would not leave the open door for a few individual illegal aliens, and he sure as hell would have slammed and bolted the door against mass migrations invading the country. Bottom line: RR signed the first amnesty for three million illegal aliens based on promises Democrats made. Naturally, the Party of Liars went back on their word. Illegal aliens in this country is now up around 30,000,000. That is why Nutso lying about Ronald Reagan is so offensive. Lying Democrats are now promising that giving citizenship to illegal aliens brought here as children will be the last time for amnesty. President Trump would be a fool to believe anything Democrat liars say about amnesty for illegal alien children. Democrats are counting on their judges to find a way to legislate amnesty for every illegal alien after the “CHILDREN” get theirs. NOTE: If lying Democrats want to negotiate, President Trump should give the so-called DREAMERS amnesty, but ONLY AFTER HE SIGNS ALL OF THE LEGISLATION THAT REPEALS ALL OF THE LAWS THAT MAKE ILLEGAL ALIEN IMMIGRATION POSSIBLE. Finally, the best way to deal with lying Democrats like Pelosi & Company is to compare the government they are trying to impose on the American people to the government the Founders gave us. If nothing else does it for you compare Pelosi’s intelligence to the intelligence of any one of the men who signed the Declaration of Independence. Try comparing the intelligence of the Democrat who is hellbent on abolishing the Constitution to T. J’s intelligence. If the concept of intelligence is too gossamer for an accurate comparison compare the skills it takes to govern a free people to the skills it takes to govern slaves. Pelosi has never been a disaster. She is a highly qualified and adept speaker. Nobody ever criticized her job. She can cajole people and count votes better than nearly anyone. She runs the house very efficiently. That is why the rightys spend the last few years slamming her over and over,. They are doing what they did to Hillary. Call her names and insult her enough, and people with scant political knowledge will slowly think there is something wrong with her. Pelosi had Trump backed into the Moon Gate before she was sworn in as Speaker. Pelosi has never been a disaster. She is a highly qualified and adept speaker. Nobody ever criticized her job. She can cajole people and count votes better than nearly anyone. She runs the house very efficiently. That is why the rightys spend the last few years slamming her over and over,. To Nordberg: The public is turning against the media because of millions of dim bulbs like you. Fools like you are too stupid like see that the press, first print, than television, saw that women could get away implementing the Communist agenda while a man would be lynched for causing one-tenth of the hatred Pelosi spewed under the guise of compassion. And she has been doing it since 1987! They are doing what they did to Hillary. Call her names and insult her enough, and people with scant political knowledge will slowly think there is something wrong with her. To Nordberg: Nutso and Hillary Clinton are dumber than garden slugs. Both are liars, crooks, and proud of killing babies. The only difference between them is that Pelosi's dedication to Communism is slightly more obvious than is Clinton’s. NOTE: Media is pulling out all stops to portray a Communist invasion as everything except what it is. 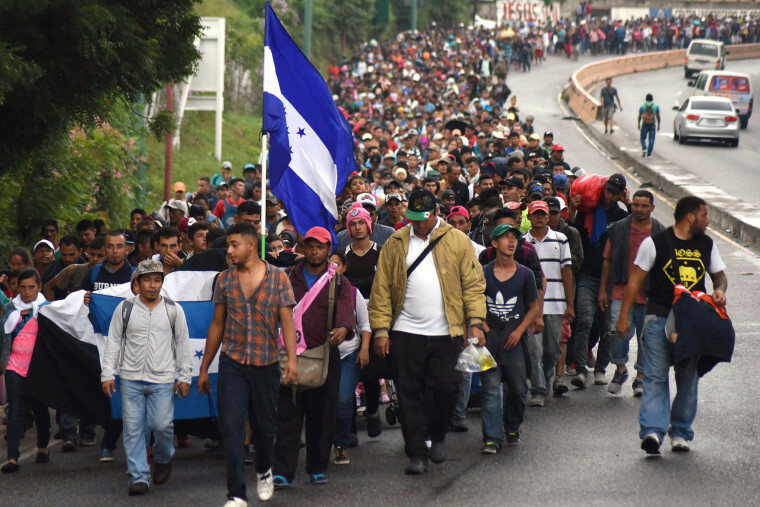 In short: Communists funded by the Democrat Party, and the United Nations, are organizing the invasion. Coyotes, drug smugglers, and criminal gangs do not have the organization skills required to invade the U.S. border, and you bet that they do not know enough about this country’s immigration laws to pull it off even if they are doing it for political reasons. Finally, a dumb Democrat man says the things Nutso says, but the media lets Pelosi get away with it. Bottom line: Television will never tell the public that a woman as dumb as a horse turd is two heartbeats away from the presidency. p.s. Take a good look at the women Pelosi is moving up to the top of the Democrat Party. Their combined intellect is zero. A wag might say that Pelosi is uncomfortable being around women smarter than she is. What planet do you live on Ned? Nutso and Hillary Clinton are dumber than garden slugs.
. . . Nancy Pelosi seems to have missed that while flunking high school civics, because she claimed this week that the Constitution makes her the President’s equal. The consequences of failing to understand the basic federalist structure in which she heads only one-half of one of the three branches are more significant than just getting an “F” on the final exam. Last edited by Flanders; 01-06-2019 at 07:44 AM. Television will never tell the public that a woman as dumb as a horse turd is two heartbeats away from the presidency. Last edited by Flanders; 01-06-2019 at 07:45 AM. House controls the purse as the constitution designed. She can stop much of what Daffy wants to do. She is 3rd in line for the presidency. If Trump and Pence flee to stay out of jail, she would be sworn in. Pretty good argument. Are you familiar with 3 coequal branches? Of course not. U.S. Chamber of Commerce executives are urging the split Republican-Democrat Congress and President Trump to end the government shutdown by giving amnesty to more than three million illegal aliens. In a letter to Congress, Chamber of Commerce Vice President Neil Bradley writes that Republicans and Democrats must come together to grant amnesty to about 3.5 million illegal aliens enrolled and eligible for President Obama’s Deferred Action for Childhood Arrivals (DACA) program. NOTE: In the past few years Democrats could not settle on a lie. They put the number of Dreamers somewhere between 750,000 and 2 million. The Chamber of Commerce must figure that three million will work even better if they start with the same lie Democrats told President Reagan. At this stage of our technological evolution...EVERY nation should be a "welfare-state"...with EVERYONE sharing in the abundance the TE provides. There would still be plenty of room for the go-getters to get MORE...and for some to get MUCH, MUCH, MUCH more. The lying lion of the Senate is long dead. idiot Repuke 2018 desperation: PELOSI PELOSI PELOSI PELOSI PELOSI!!!!!!!!!!!!!!!!!!! A disaster? No, it's high time Britain stopped being Uncle Sam's poodle. Weinergate Grows Bigger and Bigger!